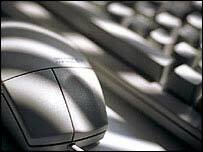 Ministers want to stop youngsters from being targeted on the net. The home secretary has outlined plans to target websites promoting extremism, as part of efforts to stop people being drawn towards radical groups. Jacqui Smith said she wanted to use technology to stop "vulnerable people" being "groomed for violent extremism". "Because something is difficult, that is no reason not to have a go at it," she added. "The internet can't be a no-go area for government." Ms Smith is to discuss the plans with members of the communications industry. She will meet internet service providers and members of the Muslim community to discuss measures to block websites which promote terrorism. The home secretary said it would be possible to "learn lessons" about removing offensive material which was placed online. Why has it taken so long for the government to organise its response to this serious issue? The government would consider "how you can filter out content, how you can work with internet service providers, how you can work internationally to get illegal stuff off the internet", she told BBC News 24. "It will be difficult but we're determined, working with partners, to get rid of it." Earlier Ms Smith said this was part of a "broad approach", recognising the need to prevent people turning to terrorism in the long-term, as well as preventing attacks now. "Grievances" about British foreign policy never justified terrorism, she added, although she recognised the need to "debate, challenge and address those grievances". Next year the government will provide more than £500m to fund security and counter-terrorism measures, rising to nearly £600m over the following two years. It has also given backing to national roadshows at which leading Muslim scholars and opinion formers talk about extremist ideology. Ministers estimate that about 60,000 people have attended so far and an associated website gets 50,000 hits a month. The government hopes that by encouraging more interaction between opinion-formers in the UK and in predominantly Muslim countries, misunderstandings about Islam can be corrected. Baroness Neville-Jones, the shadow security minister, said Ms Smith's comments were "a positive step in the fight against extremism". "However, the announcement has come much too late," she added. "The government started talking about tackling radicalisation as far back as 2003, but since then we have had the 7/7 terrorist attacks." She went on: "Why has it taken so long for the government to organise its response to this serious issue?" BBC security correspondent Gordon Corera said that for the past five years, the government's counter-terrorist strategy had been based around the "4 Ps" - protecting, preparing, pursuing and preventing. "It's widely perceived that the last of these - the effort to prevent people being radicalised and going on to become terrorists - has proved most difficult."